The eagerly anticipated follow-up to the bestseller Cleo, Helen Brown's frank and often funny account of a power struggle between a mother, her daughter and the insane family cat (previously entitled Cats & Daughters). 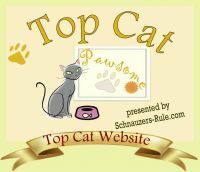 Says the author on her website, "This is the story of how one cat leads to another, that rebellious felines and daughters have more in common than you might think. And how I learned compromise and medication can be okay." About the Author: Born and raised in New Zealand, Helen Brown has worked as a columnist, TV presenter and scriptwriter. She now lives in Melbourne, Australia with her family and their "deranged" cat Jonah. Paperback biography by Helen Brown was released by Hodder & Stoughton on February 28, 2013 and has 324 pages. It is available to backorder from the publisher. Backorders may take up to 90 days to come in, although most arrive within 4-6 weeks if they are still available. Your card will be charged at the time you place your order. This is for your protection, as we do not retain your payment information to charge you later.